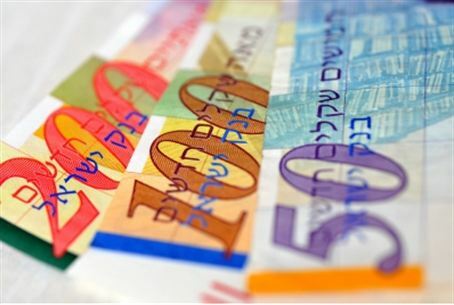 Israeli officials decided to freeze money transfers to the PA after it is accepted into UNESCO, and build some houses. Israeli officials on Thursday decided on an initial round of sanctions against the Palestinian Authority following its ascension as a 'full-member state' to UNESCO. A meeting of Prime Minister Binyamin Netanyahu and his eight senior ministers determined Israel would halt the transfer of funds under extant agreements to the PA, and accelerate housing construction in Jerusalem, Gush Etzion, and Maale Adumin. The cash-strapped PA is already grappling with US lawmakers having frozen foreign aid to Ramallah, which senior PA economic officials say could prove catastrophic. Under the measure some 2,000 new housing units would be approved and construction - all in neighborhoods the Netanyahu government has insisted would remain in Israeli hands under any future final status agreement. The decision to halt funds to the PA is indicative of a major victory by Finance Minister Yuval Steinitz, a long time advocate of freezing funds, over Defense Minister Ehud Barak. Barak has adamantly advocated honoring all agreements with the PA irrespective of whether Ramallah meets its own obligations. Israeli officials maintain Abbas' unilateral move for the recognition of a PA state based on pre-1967 lines at the United Nations violates the bilateral framework of the 1993 Oslo Accords, which govern all contacts and cooperation between Jerusalem and Ramallah. Faced with a promised US veto of their membership application in the 15-member Security Council, PA officials have decided to seek membership as a full-member state in at least 16 United Nations organizations. Doing so, Israeli officials say, is an act of bad faith under the bilateral Oslo Accords. If the trend continues, they say, more sanctions will be forthcoming.